In medium bowl mix ground almond and baking powder. In a large bowl, using electric mixer, beat eggs yolks with butter until yellow and fluffy. Add erythritol, vanilla extract and mix all together well. In a separate bowl whip egg whites with cream of tartar (with electric mixer it takes only few minutes). Add half of ground almonds and fold it in gently. Add remaining almonds and repeat folding in. 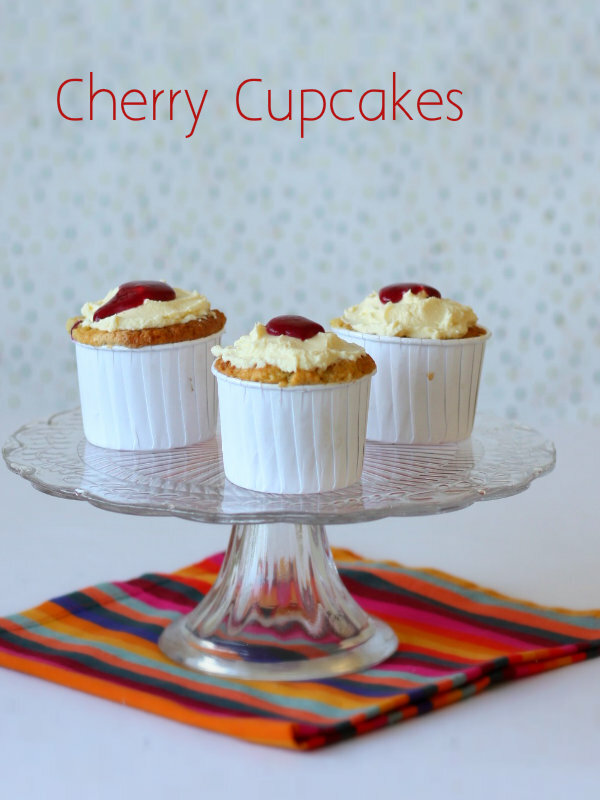 Pour the batter into a cupcakes cases and press three cherries into each cupcake. Bake for about 25 min. Check with a skewer if the cupcakes are baked (the skewer should come out clean). Let it cool down. Mix cherries for the sauce with erythritol and cook for a couple of minutes (you may need to add a splash of water). Sprinkle xanthan gum over it and mix well. Let it cool down. Mix cream cheese with butter with erythritol. 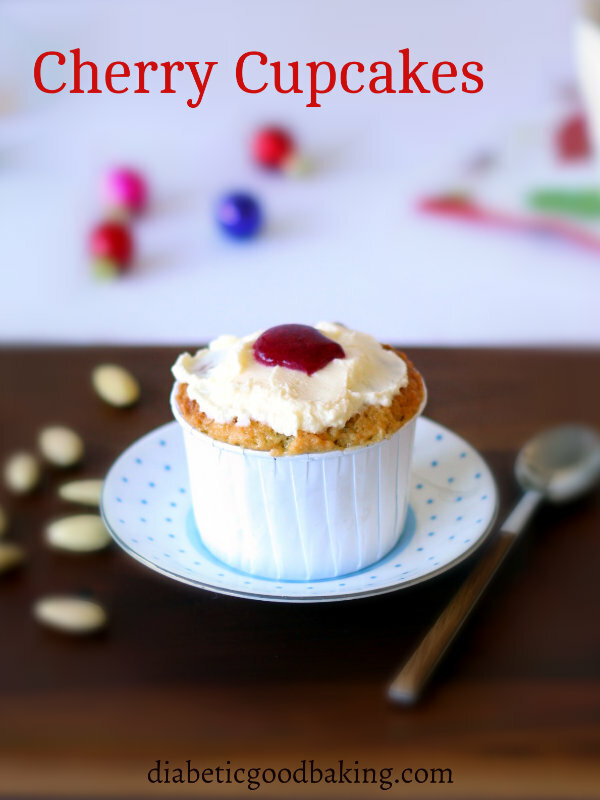 Decorate the cupcakes with frosting and the cherry sauce. Please note that this carbohydrate count does not include the erythritol. Studies have shown that erythritol has little to no affect on blood glucose levels.